On May 20, 2013, the worst tornado on record landed a direct hit on the town of Moore, on the outskirts of Oklahoma City, levelling neighborhoods, sending farm animals flying, and destroying a school while the children cowered inside. Holly Bailey went back both as a journalist and a hometown girl, speaking to the teachers who put their lives at risk as they struggled to comfort their students; to the mayor and first responders who waded through the debris while the storm still raged; to the scientists and meteorologists who have dedicated their lives to understanding tornadoes but still can t determine when one will land with any degree of certainty and are haunted by every death they might have prevented; to the storm chasers who pursue level 5 twisters with a combination of gadgetry, courage and adrenaline; and to the shell shocked residents of Moore, who rose to the occasion that day with countless acts of selfless courage. 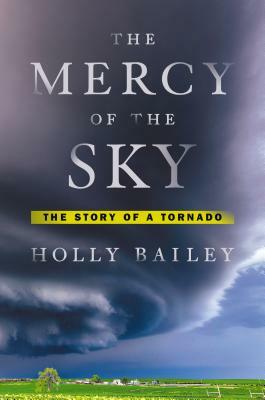 An intense and inspiring account of what happened on that fateful day, The Mercy of the Sky Bailey does for the Oklahoma flatlands what Sebastian Junger did for Gloucester, Massachusetts, in The Perfect Storm, telling the dramatic story of a town that must survive the elements or die. Holly Bailey is a correspondent for Yahoo News and was Newsweek s White House correspondent. An Oklahoma City native, she now lives in Brooklyn, New York."